I am a Music Producer and Sound Engineer who works with businesses, clients, and artists to create a signature sound with recording projects. Specializing in writing music, working with talent, and running studio recording sessions, I can produce professional projects and deliver complete music and sound in a studio or on the stage. I know that music is an art, a business, and a collective culture. With my personal style, I believes that there can be a profitable way to fuse talented musicians and artists with creative business practices that adapt with the fast-changing world of sound. With resourcefulness, I know I can create new cultures and influence the next generation of music and sound. I am a trained Producer/Engineer with experience providing deliverables, creating and executing full recording projects, engineering and editing recording sessions, mixing live sound, recording voiceover, and writing custom music pieces for clients and businesses. I have worked to cultivate a home studio, secure my own portfolio website, beatsourceone.com, to distribute my works, and produce and engineer sessions with recording artists in a studio setting. In the field, I have worked to create custom music and voiceover projects for clients in a variety of genres. In a local setting, I have accumulated experience mixing live shows with Metropaulitan Entertainment in Minneapolis, Minnesota. I’ve also supported local artists mixing live open mic talent shows at the The Strand Theater in Hudson Falls, New York. I often produce music under the alias of “Keeps MN.” My nickname is used to cover the wide variety of genres I work with while giving an identity to my personal style and my origin of Eden Prairie, Minnesota. I am working towards an Associates Degree in Audio Production from Hennepin Technical College. But why would I buy a rap beat when there are so many free beats out there? Ah, the common question of why investing in yourself pays off in the long run. Firstly, Great artists invest an incredible amount of their time. Many claim to invest hours into their craft, like your neighbor who makes beats on his Windows 95 laptop, or that guy who freestyles to electronic music with a wonky, odd rhythm. These types of people find that doing these things is a hobby, and usually spend (maybe) an hour every other day or so investing their time into music. You set yourself apart from these guys when you invest not only your time, but your hard earned money too. Think about that one shirt you bought with your own cash in NYC. Don’t you love it more than any other shirt your Mom bought you? (No offense, Mom!) Do you flip when your friends slam the door on your ’93 Civic that you purchased with a year’s worth of saved cash working at a job you hate? You might, because you treasure your purchases, and they are important to you. They represent something you’ve invested in and you are more willing to cultivate the vision and reverence to practice, perfect, and own. These investments become a reflection of yourself, and will become a part of you. When you buy a rap beat online, it requires intense commitment. Once you’ve bought the beat, you listen to it and practice with it. You may write lyrics to it right away. Since you’ve invested money into it, you want this song to be the best it can be. You might really want this song to be a reflection of who you are, convey a special message, or get something off of your chest. With your time and money invested, you will take the time to do these things, because your investments are important to you. Since you will be able to sell and market your finished song within our license terms, you will be determined to make this recording sound great! You might want to sell your finished song, distribute it, and get it placed on some Spotify playlists. 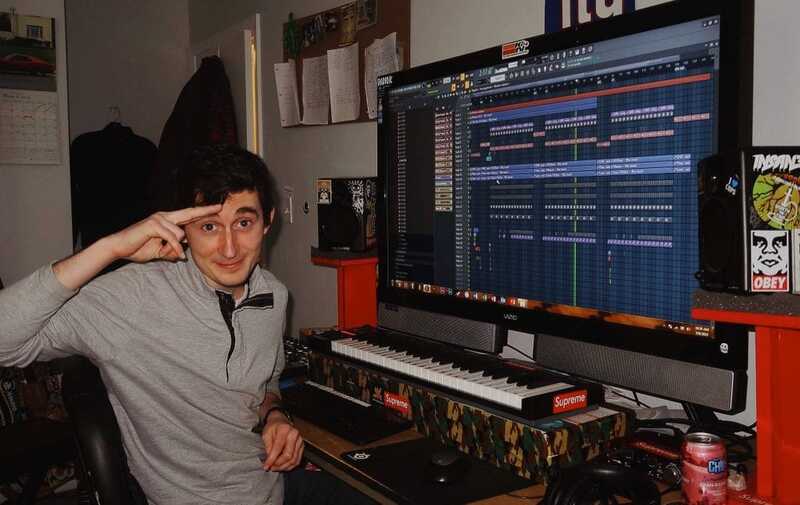 In short, you WILL be inspired to make the most of your purchase, resulting in higher determination, better quality, and a strong drive to put your emotion into your track. There’s more to read about this topic and buying rap beats online at TLBeats, check the #nofreebeats article. Buy rap beats for your next project online at Beat Source One, and know that you have a trustworthy producer available for your recording project. Turn your idea into a tangible product with our rap beats for sale. Above all else, explore, learn something new, and take your projects to the next level with our hip hop instrumentals. Our hip hop beats are high quality, stylish, and dynamic. Just check the mix!